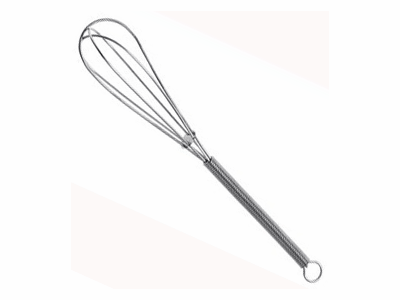 Home | Clearance Bin | Mini Chrome Wire Whisk, 4.75" or 7"
Cute little chrome plated wire whisks will surely come in handy for drink mixes and other small mixing tasks. Makes a great party favor and a cute addition to our gourmet mixes for a gift! Choose from: 4 3/4 inch or 7 inch sizes.